I figured since I’m about to finish this off tonight (with roasted asparagus dressed with lemon, butter, and garlic), it was well past time for me to update the original post with the results. 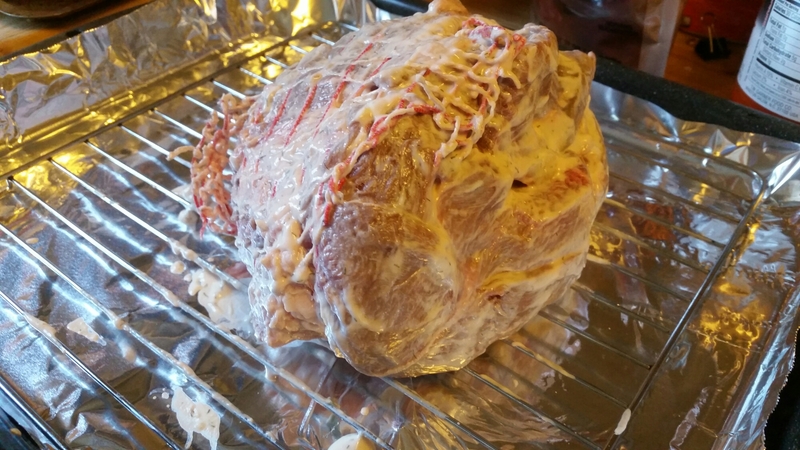 I ended up having to cook the roast longer than what I’d found online. 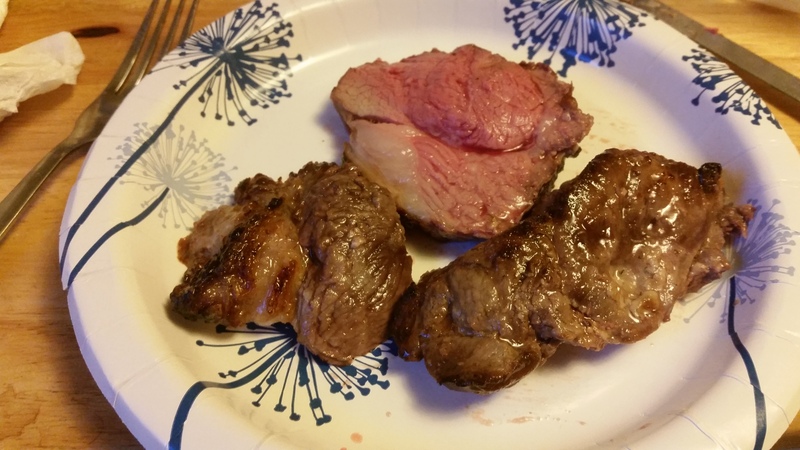 Cooking it for just 20 minutes per pound produced a very rare piece of meat! (Not even close to the medium rare I was going for.) I think the trick, for next time, is to sear it in my new-hand-me-down cast iron skillet on the stove first, then roast it in the oven for about 25 to 30 minutes per pound. Trying to get a sear by doing it for 15 minutes at 450 degrees didn’t work very well. However, that said, it was quite tasty—though needed salt when finished. Everything I read said not to salt it before cooking, as the meat would dry out. But next time, I’m going to try a good sprinkling of kosher salt on the exterior after taking it out of the marinade. In addition to eating it sliced, as above, I also fixed it gyro style: sliced into short, thin strips and heated, then wrapped in a low-carb tortilla with tzatziki, diced tomato, and thinly sliced sweet onion.